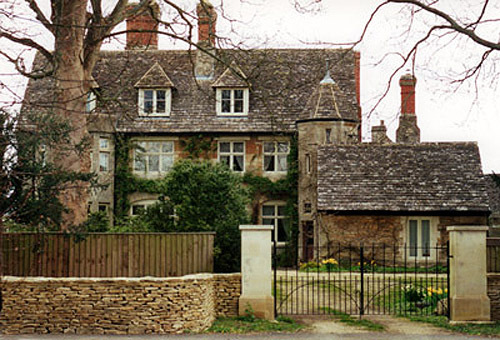 Ralph Vaughan Williams was born in The Vicarage, in Down Ampney, on 12 October 1872. He was the third child of Arthur and Margaret Vaughan Williams. 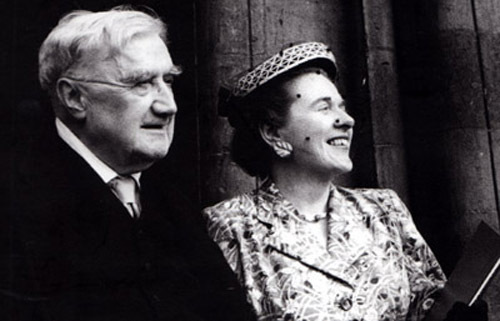 Arthur Vaughan Williams and Margaret Wedgwood married in 1866. 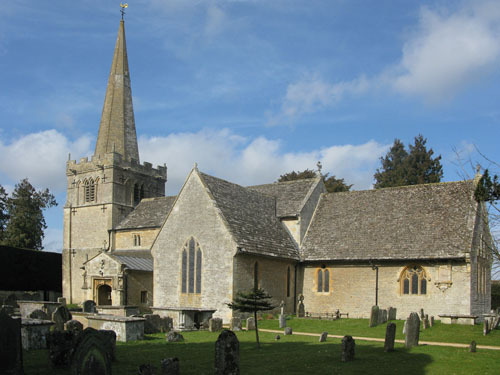 Arthur was ordained vicar of All Saints church, Down Ampney, in 1868. Previously, he had posts at Bemerton – coincidentally in the same parish where the poet George Herbert had been Vicar around three hundred years earlier – and at Halsall in Lancashire. Ralph’s father was the third son of Sir Edward Vaughan Williams, a lawyer and judge, who had married Margaret Wedgwood in February 1868. Margaret, Ralph’s mother, was one of three daughters to Josiah Wedgwood III and Caroline Darwin. 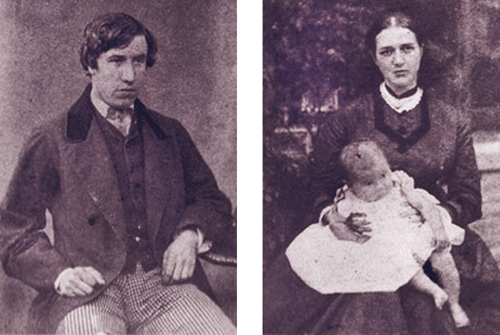 The Wedgwood and Darwin families had often intermarried. Ralph had on his mother’s side two famous great-great-grandfathers, Josiah Wedgwood (1730-95), the founder of the pottery at Stoke-on-Trent, and Erasmus Darwin, the physician, poet and grandfather of Charles Darwin. In 1847, the Wedgwood family had purchased Leith Hill Place in Surrey and it was to this family home that Margaret Vaughan Williams and her three children returned when Ralph’s father died suddenly in early 1875. Ralph was just over two years old. Ralph flourished amidst the rhododendrons and azaleas of Leith Hill Place. Settling into the old attic of the house, he had an excellent nurse, Sarah Wagner. He had learnt to read by the spring of 1876.Music was important to the family. His Aunt Sophy (his mother’s sister) gave Ralph his early music lessons. He wrote his first piano piece, called The Robin’s Nest, when he was six. Ralph played duets with his brother Hervey and his sister Meggie. His mother would read aloud — adventure stories as well as the classics. His admiration for Shakespeare began at this time. The practice of reading aloud was something Ralph enjoyed all his life, including re-reading the complete works of Shakespeare with his second wife, Ursula, in the early 1950s. Back in the early 1880s, Ralph was passionate about architecture. He read books about Norman and Gothic buildings and in 1883 received a much treasured Christmas present from his mother, the Pictorial Architecture of the British Isles. 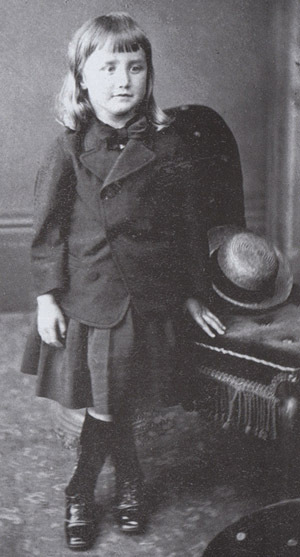 Ralph followed his brother to preparatory school at Rottingdean near Brighton in 1883. He described the music teaching there as very good. He was introduced to the music of J.S. Bach and was good enough at the violin to play Raff’s Cavatina by heart. In January 1887, the fourteen year-old boy became a pupil at Charterhouse school near Godalming in Surrey where he remained until 1890. Here he organised concerts and felt that he had the makings of a fine viola player. His family disagreed, believing that the organ was the right instrument for him. Having left Charterhouse in July 1890, Ralph entered the Royal College of Music in September. After two terms of hard study, he became a pupil of Sir Hubert Parry. Parry insisted that Ralph learn more Beethoven, especially the late quartets. Parry widened Ralph’s musical knowledge, but also provided him with a sense of the nobility and greatness of the English choral tradition. Ralph had found something “peculiarly English” in Parry’s music, awakening a consciousness of the national composer that was to flourish over a decade later. In 1892, Ralph went to Trinity College, Cambridge to study both history and music. He continued to have weekly lessons with Parry in London. At Cambridge, he studied with Charles Wood who Ralph described as “the finest technical instructor I had ever known”. As his cousin, Ralph Wedgwood, and many Darwin relations, were at Cambridge, Ralph was introduced to a wide circle of friends, including G.E. Moore, the philosopher, George Trevelyan, the historian, and Hugh Allen, later to become Director of the Royal College of Music. Ralph had taken his B.Mus. in 1894 and his history degree the following year. He returned to the R.C.M. in 1895 where he became a close friend of Gustav Holst. Ralph was to speak of him as “the greatest influence on my music”, and their close companionship was to last until Holst’s death in 1934. With Parry as Director of the R.C.M., Ralph now went to Sir Charles Villiers Stanford for lessons. Ralph, meanwhile, had met Adeline Fisher, a talented cellist and pianist with a lively intelligence and delicate, pre-Raphaelite good looks. 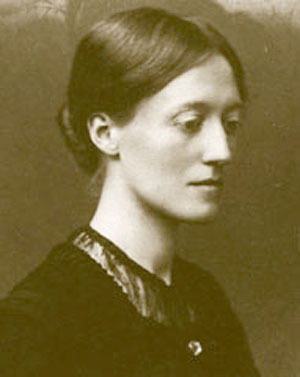 She was a first cousin of Virginia Woolf. Ralph and Adeline became engaged in 1896 and the couple married on 9 October 1897 at All Saints Church, Hove. It was three days before Ralph’s twenty-fifth birthday. Following a brief period of study with Max Bruch in Berlin, Ralph returned to the post of organist at St. Barnabas, South Lambeth in London which he had held since 1895. Ralph disliked the job although he recognised that it gave him an insight into good and bad church music which would stand him in good stead a few years later. He resigned in 1899. Ralph’s first published work was written in 1901. It is a lovely setting for voice and piano of William Barnes’ poem Linden Lea. Vaughan Williams’ songs at this time, including settings of Christina Rossetti, D.G. Rossetti and Tennyson, are noteworthy if not yet fully characteristic. Silent Noon is, perhaps, his most successful song from this period, with a perfect matching of words and melody. 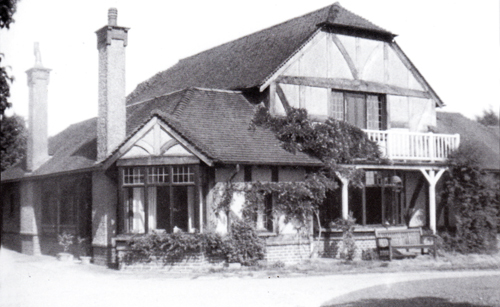 Of vital importance to the development of Vaughan Williams’ style was the discovery of an English folk song at Ingrave near Brentwood in late 1903. The song was Bushes and Briars. Its impact, and the mark of other folk songs he quickly collected, was profound and permanent, influencing the texture, contours and melodies of his work. His orchestral works written shortly after hearing Bushes and Briars — In the Fen Country and the Norfolk Rhapsodies, for example — are wonderfully atmospheric. The inclusion of The Captain’s Apprentice in the Norfolk Rhapsody is quite beautiful. Vaughan Williams’ style was also shaped by his involvement with hymn-tunes from 1904-06 as Musical Editor of the English Hymnal. He ranged far and wide in his search for appropriate material and studied closely the work of Tudor and Elizabethan composers, including Thomas Tallis, whose Psalm tune Why Fumeth in Fight? was soon to form the basis of one of Vaughan Williams’ greatest works, the Fantasia on a Theme by Thomas Tallis. ‘Bushes and Briars’ as notated by Vaughan Williams in 1903. Vaughan Williams contributed four original hymns to the English Hymnal, including the well-known Sine Nomine (For all the Saints), as well as one of the most beautiful of all, Come down, O Love Divine. This was named after his birthplace in Down Ampney. Influenced by folk-songs, hymn tunes, the philosophy and music of Sir Hubert Parry and the glories of Tudor and Elizabethan choral music, the mature Vaughan Williams was about to emerge from his long apprenticeship. The poetry of Walt Whitman was another catalyst. Whitman’s structural and metrical freedom, his open-air style and spiritual intensity liberated Vaughan Williams’ musical imagination. He began work on what was to become A Sea Symphony in 1903 and Toward the Unknown Region was first performed in 1907. Both set Whitman at his most visionary and inspired. In late 1907 and into 1908, Vaughan Williams decided to have lessons from Maurice Ravel in Paris. These were a success, with the English composer learning, as he put it, “to orchestrate in points of colour rather than in lines”. Vaughan Williams returned with what he called “a bad attack of French fever” which produced the memorable song cycle On Wenlock Edge, to words by A.E. Housman. 1910 was a remarkable year for the composer. The grave splendour of the Fantasia on a Theme by Thomas Tallis was first heard on 6 September at the Three Choirs Festival and made an immediate and lasting impact. Then A Sea Symphony was given its premiere at the Leeds Festival on 12 October. The scale, eloquence and nobility of this moving work showed that an English composer of originality and power had emerged from this Gloucestershire village. The success of the Tallis Fantasia had led to a new commission from the Three Choirs Festival, this time at Worcester in 1911. Vaughan Williams chose poems from George Herbert for his Five Mystical Songs for baritone, chorus and orchestra. George Butterworth had suggested to Vaughan Williams the idea of writing an orchestral symphony and A London Symphony began to take shape. Vaughan Williams described it as a “Symphony by a Londoner”, evoking the contrasting sights and sounds of Edwardian London, including the influence of the Thames and the chimes of Big Ben. The symphony was first performed on 27 March 1914. Meanwhile. in 1912, Vaughan Williams was introduced to Sir Frank Benson, who was looking for a musician to arrange music and conduct the small orchestra at the 1913 season at Stratford-on-Avon. Ralph was already knowledgeable about Shakespeare and was delighted with this first-hand insight into the theatre world. This was to prove advantageous when Vaughan Williams came to compose his own Shakespeare opera, Sir John in Love, ten years later. The Lark Ascending, for violin and orchestra, was composed in 1914. In its gentle, untroubled lyricism, it seems to capture the tranquillity of those languid summer days before the outbreak of war on 5 August 1914. Vaughan Williams’ world was soon to change dramatically. 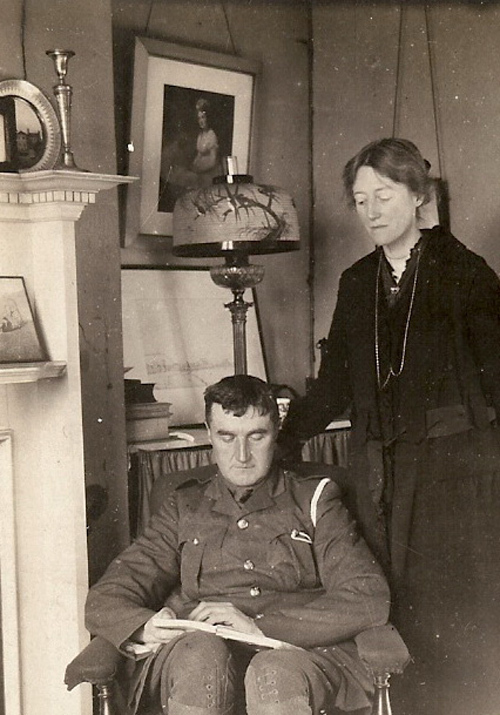 Vaughan Williams enlisted as a Private in the Royal Army Medical Corps Territorial Force on New Year’s Eve, 1914. He signed up for a four-year term at the Duke of York’s HQ in Chelsea. As he was living nearby, this was practical for him. The most likely reason he chose the Field Ambulance was, however, his age — he was forty-two years old. The composer joined the 2/4th London Field Ambulance, part of the 179th Brigade within the 60th Division. 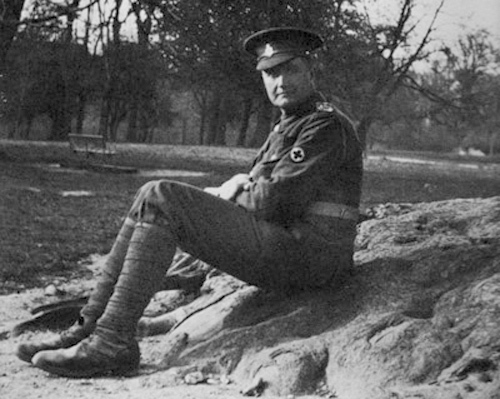 Initial training in England – squad drill, stretcher drill, first aid and lectures on military practice — was rigorous, especially for Vaughan Williams, who had flat feet. There was, however, still time to form a band with Vaughan Williams as conductor. Band of the 2/4th London field Ambulance, Saffron Walden 1915. VW is the tall figure at the back. Orders for mobilisation were received on 15 June 1916, and the date set to leave England was Midsummer’s Day, 22 June. Vaughan Williams and his colleagues were heading for Ecoivres, a few miles north-west of Arras, on the slopes of Vimy Ridge. The British had taken over this sector of the front line in March 1916. Conditions were terrible. Vaughan Williams’ task was to assist in evacuating the wounded from the Neuville St. Vaast area. This terrain was by 1916 largely flattened — nothing stood more than five feet high. The soldiers were surrounded by dead bodies and rats by the million. The men worked in two hour spells. It was dangerous work, the roads almost impassable from shelling. “Never such innocence again” Philip Larkin would write later. In mid-November, the unit received instructions to transfer to Salonika. For Vaughan Williams, the nightmare of trench warfare was over, although he did return to France as an Officer in the Royal Artillery in 1917. 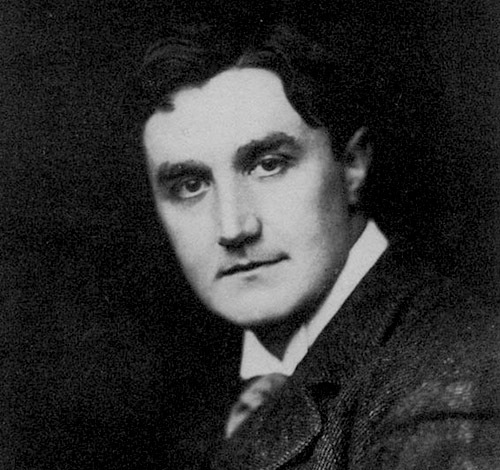 Vaughan Williams’ activities in peacetime appeared to resume where they had left off in 1914. He was invited to teach at the Royal College of Music, as a Professor of Composition. He recommenced work at the Leith Hill Musical Festival, including leading rehearsals. He took over from Sir Hugh Allen as Musical Director of the Bach Choir, a post he held until 1926. He and his wife, Adeline, moved for a while to Sheringham in North Norfolk where he revised his A London Symphony. He received an Honorary Degree of Doctor of Music at Oxford in 1919. In 1914, Vaughan Williams put the finishing touches to his first opera, Hugh the Drover, a work he had begun writing in 1910. It is a romantic ballad with words by Harold Child charting the love-at-first-sight relationship of Hugh and Mary, the constable’s daughter. Vaughan Williams wanted to write a “musical” about English life. It is indeed full of wonderful tunes in Vaughan Williams’ most fresh and lyrical style. It even succeeds in setting a boxing match between Hugh and John the Butcher, to whom Mary was about to be unhappily married. The opera was first publicly performed in 1924, with forces of the British National Opera Company conducted by Malcolm Sargent. If, with Hugh the Drover, Vaughan Williams reconnected with his beloved world of folk song after the horrors of war, he was also preoccupied by another very different work, which was conceived while he was on active service in France in 1916. A Pastoral Symphony is clearly and expressly linked to the war. Much as with Arthur Bliss’s valedictory work, Morning Heroes, it was a necessary and cathartic work for Vaughan Williams. The composer wrote: “It’s really wartime music — a great deal of it incubated when I used to go up night after night with the ambulance wagon at Ecoivres and we went up a steep hill and there was a wonderful Corot-like landscape in the sunset – it’s not really lambkins frisking at all as most people take for granted.” A wordless cantilena for soprano, accompanied only by a drum roll, that opens the fourth movement, is particularly poignant. This lament is followed by a cantabile melody of remarkable expressiveness that seems to bring to the surface all the pain and sorrow of the war. Another work from the immediate post war period also has moments of great beauty. This is the Mass in G minor for double chorus. For a declared agnostic, Vaughan Williams could set the words of the Mass with conviction and sincerity. As he put it: “There is no reason why an atheist could not write a good Mass.” The work is dedicated to Gustav Holst and his Whitsuntide Singers. Whilst working on his Pastoral Symphony, Vaughan Williams had made a setting of part of Bunyan’s Pilgrim’s Progress. The resulting operatic scena was called The Shepherds of the Delectable Mountains. 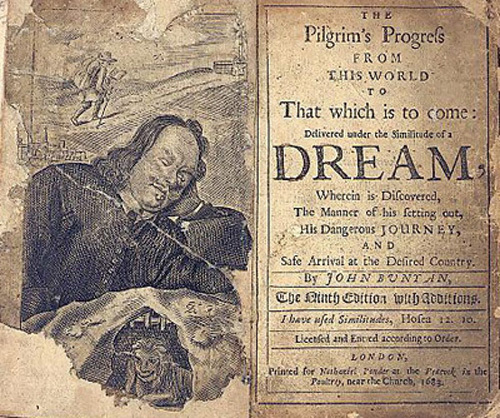 Vaughan Williams had first set extracts from The Pilgrim’s Progress for a performance at Reigate Priory in 1905, and Bunyan’s work would preoccupy him in one form or another until the early 1950s. John Bunyan’s sturdy and simple prose, his sincerity and spiritual intensity had appealed to the Vaughan Williams since childhood. In The Pilgrim’s Progress there is a return to the idea of a spiritual journey that had attracted the composer to Whitman in A Sea Symphony. Vaughan Williams’ music to Bunyan has a moving restraint, an inner spirituality, a strength and conviction that shows the composer gripped by the text and responding in always inspired and often ecstatic fashion. The Pilgrim’s Progress preoccupied Vaughan Williams almost all his life. (Image from the University of Sydney). Vaughan Williams was appointed one of the Vice Presidents of the Folk Song Society in 1921. To the Cambridge branch he dedicated Old King Cole in 1923. Vaughan Williams believed strongly that the country’s inheritance of song and dance should be part of all our lives. In 1924, Oxford University Press established a Music Department under the twenty-five year-old Hubert Foss. Foss, a musician, became a close advisor and friend of Vaughan Williams. The composer’s long association with OUP began in 1925. Vaughan Williams also returned to hymn music, becoming joint musical editor with Martin Shaw of Songs of Praise, published in 1926. The composer contributed two more original hymns, and thirty of his arrangements were also included. He was joint editor, too, for the Oxford Book of Carols, published in 1928. He contributed four original carols to this volume, including the lovely Wither’s Rocking Hymn. Nothing in true earnest done. The composer seems at last to have exorcised the ghosts of the Great War. Sir Geoffrey Keynes, Blake scholar and eminent surgeon, had acquired a copy of Blake’s Illustrations of the Book of Job in 1927. A ballet enthusiast as well as an expert on Blake, he saw in the groupings and gestures of the Blake illustrations the potential for dramatic music. Keynes turned to his sister-in-law, Gwen Raverat, who was also Vaughan Williams’ cousin, for design help. They then chose Vaughan Williams as composer since he was felt to be sympathetic to Blake’s symbolism and individuality. As a family friend, he was also accessible. Vaughan Williams was fired by enthusiasm for a ballet on Job, though he had a great dislike for dancing “on points”. Job became A Masque for Dancing rather than a ballet. The work was first performed in a full orchestral version at the Norwich Festival in 1930. Geoffrey Keynes remained hopeful of a staging and a toy mock-up had been designed by Gwen Raverat to illustrate the dramatic possibilities. Ninette de Valois and Lilian Baylis were impressed and with the help of the newly formed Camargo Society, Job was produced at the Cambridge Theatre in London in July 1931. By all accounts, Anton Dolin as Satan and Stanley Judson as Elihu were both superb. Job unites the different aspects of Vaughan Williams’ musical style: dramatic, lyrical, visionary and pastoral, to brilliant effect. By 1930, Ralph and Adeline had moved to White Gates near Dorking, a house that suited Adeline whose arthritis was becoming more of a problem. For that year’s Leith Hill Festival, Ralph composed three new pieces, one for each division:Benedicite, Three Choral Hymns and the Hundredth Psalm. By New Year’s Day, 1932, Vaughan Williams was thoroughly absorbed by a new symphony, his fourth. When the work was first performed on 10 April 1935, it was revealed as a work of remarkable power and intensity. Its ferocity can startle even today, familiar as we are with the clashing semitones of the opening Allegro. Why did he write in this way? The composer consistently rejected any suggestion that the work was related to external events: “I wrote it not as a definite picture of anything external, for example, the state of Europe, but simply because it occurred to me like this. I can’t explain why…” No composer can be completely immune from outside influences, especially someone with Vaughan Williams’ sensitivity. Ursula Vaughan Williams sees the work as characteristic of the man who wrote it: “The towering furies of which he was capable, his fire, pride and strength are all revealed and so are his imagination and lyricism.” The symphony, combining concentration, symphonic cohesiveness and logic, certainly succeeds on its own merits. Bottom row: Dorothy Langman, Vally Lasker, Nora Day. In May 1935, Vaughan Williams received a letter from Buckingham Palace conferring on him the Order of Merit in the Birthday Honours for services to music. This is a very special award, held by only twenty-four people at any time. Vaughan Williams disliked status symbols but on this occasion decided to accept. His family and friends were delighted. During the spring and summer of 1935, Vaughan Williams was absorbed by a new work, his “Skelton oratorio”, the Five Tudor Portraits. John Skelton’s verse is ironic, humorous and earthy, yet with a wonderful vein of tenderness and beauty. It certainly appealed to Vaughan Williams who thoroughly enjoyed setting the poems. The work was completed by June 1935, Vaughan Williams having abandoned a sixth portrait, of Margery Wentworth. Scored for contralto, baritone, chorus and orchestra, it was first performed at the Norwich Festival in September 1936. This choral suite conveys a wide range of emotions whilst portraying the vitality of Skelton’s Tudor England. Another work of 1935 brought out rather different emotions. This was Dona Nobis Pacem, to words by Walt Whitman, the Bible and other sources. This work explores the horror of war as both Whitman and Vaughan Williams had experienced It. The soprano’s imploring refrain — “Dona Nobis Pacem” — gives the work unity and purpose. In 1937, Vaughan Williams received the first award of the Shakespeare Prize from the University of Hamburg. Vaughan Williams, having taken advice, accepted the award. By February 1939, however, his music had been banned in Germany over its alleged anti-Nazi “propaganda”. No one quite knew why. Both 1936 and 1937 saw first performances of new operas. Firstly, on 12 May 1936, at the Arts Theatre in Cambridge, there was the premiere of The Poisoned Kiss, subtitled “The Empress and the Necromancer”. 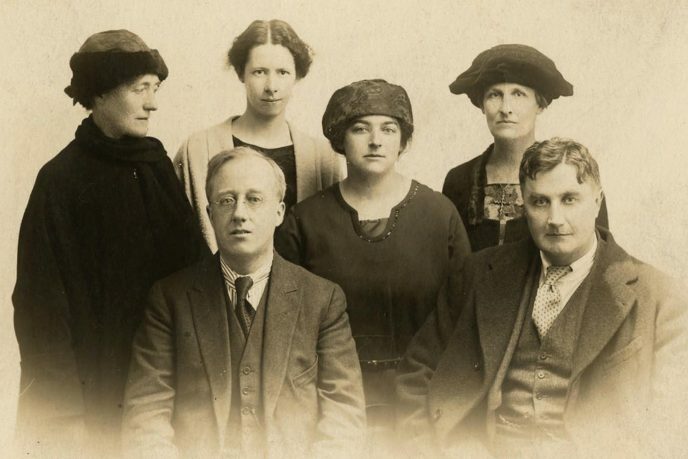 This “romantic extravaganza” was written by Evelyn Sharp, sister of Cecil Sharp the folk song collector, and is founded on incidents taken from The Poisoned Maid by Richard Garnett. It is another humorous, high-spirited and romantic work, following on from Sir John in Love. It provided immense enjoyment to the composer, who told Hubert Foss that he was writing music he really liked. The second opera of this period is very different in style. Riders to the Sea is an almost verbatim setting of a short play by the Irishman J.M. Synge. Composed in 1926-27, it was first performed publicly at the Royal College of Music on 1 December 1937, conducted by Malcolm Sargent. The opera centres around Maurya who has lost her father, husband and four of her six sons at sea. One of her remaining sons, Michael, has been missing for some days. Her youngest son soon leaves to take some horses across the water to Galway Fair. Maurya realises her sons will never return. Her poignant final lament beginning “They are all gone now, and there isn’t anything more the sea can do to me” is one of Vaughan Williams most inspired passages. In its concentration, subtlety and tenderness, Riders to the Sea is a masterpiece. To cap a year of operatic achievement, Hugh the Drover was revived at Sadler’s Wells in 1937. 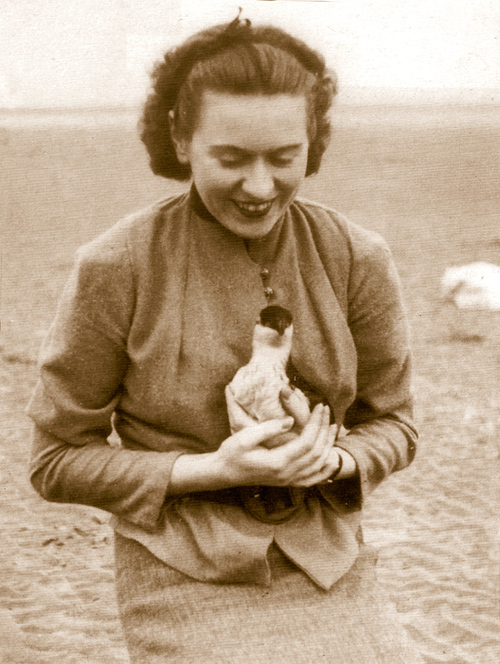 Ursula Wood, a writer and poet, who was to become his second wife in 1953, had seen Job in the 1932-33 season, while a student at the Old Vic. She was overcome by the music and resolved to contact the composer. Marriage to a gunnery instructor took her away, however, and it was not until early 1938 that she contacted the composer regarding her idea for a ballet. They met on 31 March 1938 and established from the beginning a close artistic and personal rapport. Ursula’s husband died in 1942. Soon after meeting Ursula, Vaughan Williams received a request from Henry Wood for a work to celebrate his Jubilee concert. Wood wanted something for sixteen soloists and Vaughan Williams, with his deep knowledge of Shakespeare, chose the text from the beautiful scene between Jessica and Lorenzo in The Merchant of Venice. The resulting Serenade to Music is one of the composer’s most gorgeous and timeless works. 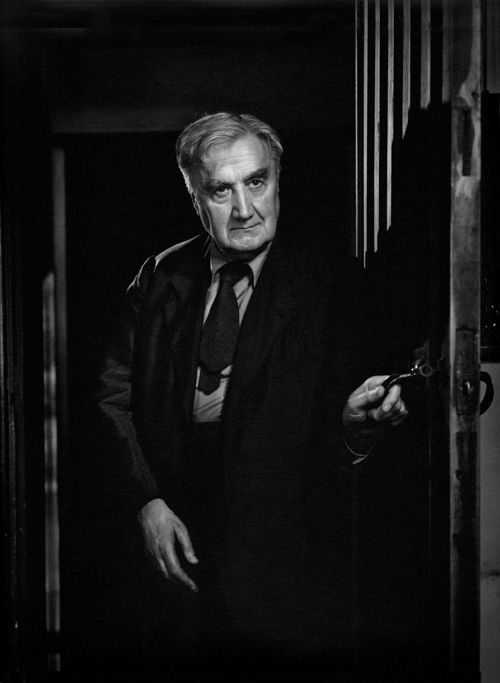 With the outbreak of war in early September 1939, Vaughan Williams became involved in many wartime activities — helping refugees, salvaging war material and fire watching as well as contributing music to wartime films, including Coastal Commandand 49th Parallel. Toward the end of the war, the BBC commissioned a work of thanksgiving for the expected victory. This became A Song of Thanksgiving. The new symphony was first performed at a Promenade Concert in London on 24 June 1943, with the composer conducting the London Philharmonic Orchestra. Following the calculated violence of the Fourth Symphony, this deeply contemplative and radiant music seemed to many commentators at the time as presaging an end to the war. It is suffused with that visionary, luminous quality that distinguished all Vaughan Williams’ writing inspired by The Pilgrim’s Progress. Other commentators at the time of its first performance saw the work as a serene, final benediction from a composer turned seventy. How wrong they were: Vaughan Williams would live another fifteen years and write four more symphonies. In June 1947, Vaughan Williams received a request from Ernest Irving for music to a new film on the fateful expedition of Captain Scott to the Antarctic. Not surprisingly, the subject appealed strongly. He admired the bravery of the team even if inefficiencies in the organisation infuriated him. The score was finished in April 1948 and the film, directed by Charles Frend, appeared in December 1948, with John Mills memorable in his understated portrayal of Scott. 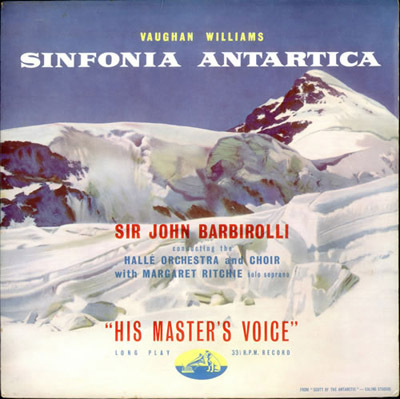 Vaughan Williams then felt that the music could be reforged into a symphonic whole and the Sinfonia Antartica was completed in 1952. This, his seventh symphony, was first performed by Sir John Barbirolli and the Hallé Orchestra, with Margaret Ritchie singing the wordless soprano part, on 14 January 1953. In February 1954, Cambridge University made amends to Vaughan Williams for the deficiencies of the Royal Opera production. With Dennis Arundell as producer, John Noble as Pilgrim and the orchestra conducted by Boris Ord, the work was widely admired. Ursula Vaughan Williams has said that no other service to his music gave him more satisfaction than this University production of his beloved Pilgrim’s Progress. Vaughan Williams outside The White Gates in Dorking. Ralph and Ursula Wood were married on 7 February 1953 at St. Pancras Vestry Chapel in London. Ralph’s best man at the wedding was Sir Gilmour Jenkins, a senior civil servant (Permanent Secretary of the Ministry of Transport) who had sung Pilate in Dorking performances of Bach’s St. John Passion. The couple moved to 10 Hanover Terrace, Regent’s Park. They took the house on a twenty-one year lease, which the eighty year-old composer felt was too short! Ralph and Ursula had taken a holiday in Italy in 1953 and decided in 1954 to visit America. Vaughan Williams took up a visiting professorship at Cornell University and Keith Falkner, a friend on the faculty at the University, arranged for him to undertake a lecture tour across America. Just before leaving America, Vaughan Williams received the Howland Prize and Medal at New Haven University. He was only the third composer to receive this award, following Holst in 1925 and Hindemith in 1940. Vaughan Williams began his Eighth Symphony in 1953 and finished it in 1955. It was first performed on 2 May 1956 by Sir John Barbirolli, the work’s dedicatee, and the Halllé Orchestra. The symphony has a concentrated energy which shows the eighty-one year-old continuing to experiment both structurally and in terms of orchestral sonorities, in particular using a large supply of extra percussion including, as he put it, “all the ‘phones and ‘spiels known to the composer.” In its lightness of mood this, the shortest of the symphonies, links with the Romance for Harmonica (1952) and the Tuba Concerto (1954). The symphony has an American extroversion reflecting, perhaps, the composer’s recent visit to the USA. Gerald Finzi’s death in 1956 was a major blow. He had been a close personal friend whose musical style follows was close to Vaughan Williams’ own. In October 1957, a concert at the Royal Festival Hall in London celebrated the composer’s eighty-fifth birthday. A poem to mark the occasion by Cecil Day Lewis was read by his actress wife, Jill Balcon, at a party after the concert. Vaughan Williams continued to conduct Bach’s Passions at Dorking. These performances were remembered as a revelation — highly spiritual and moving. The choir were thoroughly rehearsed and the hand-picked soloists knew exactly what Vaughan Williams wanted. In 1958, Ralph and Ursula visited Naples, where he sat for a portrait by Gerald Kelly. They crossed to Ischia, staying with Sir William Walton and his wife, Susanna. Meanwhile, Vaughan Williams was working on his Ninth Symphony. It was to be his last. The work was initially inspired by Salisbury and the surrounding countryside, including Stonehenge. Tess had spent her last hours with Angel Clare at Stonehenge and the fatalistic influence of Thomas Hardy is felt in this symphony. At the age of eighty-five, Vaughan Williams was contemplating fate and the influence of the “President of the Immortals”. He had originally called the first movement a “Wessex Prelude”, but it soon became the Ninth Symphony, and the programmatic basis of the work was removed. The first performance took place on 2 April 1958 with the Royal Philharmonic Orchestra conducted by Malcolm Sargent. Despite the composer’s age, the symphony shares with its predecessor an unabated flow of new ideas, partly retrospective, but continuing the fascination with new orchestral sonorities, including three saxophones and a flugelhorn. It is a poignant summary of many of his life’s preoccupations. The juxtaposition of moods — noble and tender, violent and barbaric, sardonic and jaunty and, in the end, defiant — captures superbly the astonishing range of his expressiveness heard throughout the symphonies. It is a fitting conclusion to a remarkable cycle. Vaughan Williams continued to work hard showing astonishing concentration for a man of is age. He set more of Ursula’s poetry in his valedictory Four Last Songs, and was working on a new opera, Thomas the Rhymer. In collaboration with Simona Pakenham, he also wrote a fine Christmas work, The First Nowell. 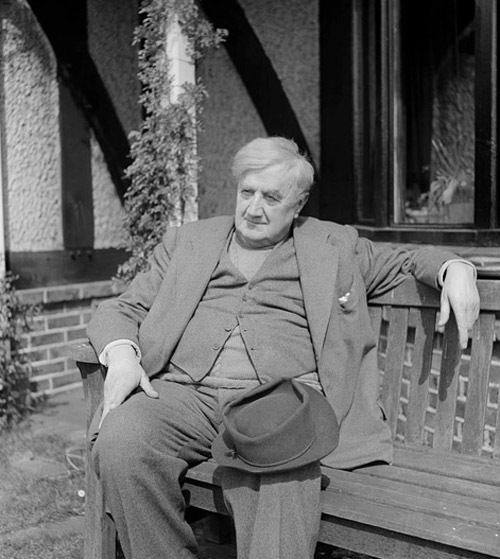 Ralph Vaughan Williams died peacefully on 26 August 1958. Despite his age, his death came as a shock to his family and friends who had deemed him invincible. Ursula Vaughan Williams called many close to him in the early hours of the morning to avoid these friends first hearing the news on the BBC news bulletins. The Funeral Service and Commemoration were held at Westminster Abbey on the 19 September. The Service opened with the beautiful Five Variants of “Dives and Lazarus”, a folk song Vaughan Williams had loved all his life. Sir Adrian Boult conducted. Excerpts from Job and music by his beloved Bach followed. As the casket containing his ashes was carried to the North Aisle, the congregation sang Come down, O love divine to the tune he had called Down Ampney, after the village of his birth back in 1872. For many present, this was the most moving part of the service. Finally, more Vaughan Williams, the sublime O taste and see and The Old Hundredth. 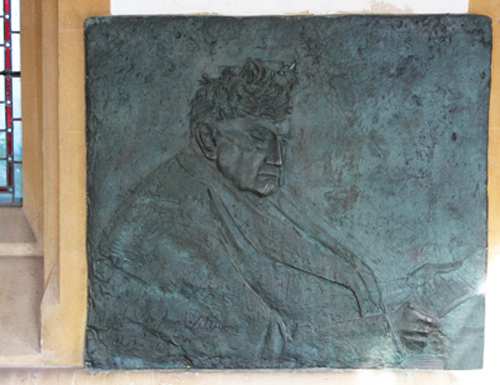 Posthumous relief portrait sculpture by David McFall RA, Church of St Martin, Dorking. A second cast is at Charterhouse School, Godalming, Surrey. This brings us to the end of our brief exploration of the life and music of Ralph Vaughan Williams. He had enriched most musical forms — symphonies, choral works, film music, songs and chamber music. Of his five operas, The Pilgrim’s Progressis, perhaps, the culmination of his life’s work. After reading our brief narrative, and studying the photographs and other illustrations, it is our hope that you will understand the man and his time a little better and feel inspired again to listen to the glorious and life-enhancing music of this son of Gloucestershire.